Government officials have made many statements about the warrantless surveillance since it became public in 2005. They’ve done so in court, in Congress, and in the media. Unfortunately, their words have too often served to evade or obscure, rather than clarify, their actions. Government officials have generally cabined their discussions of the warrantless surveillance program to one aspect of the Program: the “Terrorist Surveillance Program” (TSP). Yet they have now admitted, and the Inspector General has confirmed, that the so-called TSP is not everything that they are doing. As President Bush’s then-Press Secretary Tony Snow explained when warrantless wiretapping was first revealed, TSP was simply a marketing term, “a label attached after the original stories appeared about the program.” More critically, the phrase “Terrorist Surveillance Program” does not describe the entire warrantless wiretapping program or even an independent program, but, as the former Director of National of Intelligence Mike McConnell put it, “one particular aspect of these activities” that President Bush publicly disclosed in 2005—it references, by definition, only intercepts where one end of the communication was affiliated with al Qaeda. Plaintiffs’ allegation that the NSA has indiscriminately collected the content of millions of communications sent or received by people inside the United States after 9/11 under the TSP is false. A first glance, this seems like a rather strong denial of warrantless spying. But the statement only refers to activities “under the TSP,” meaning that it is only a denial of the aspect of intelligence activities labeled the Terrorist Surveillance Program. So if the collections occurred under another aspect of the government spying, the denial would not apply. Moreover, the statement also uses “collected” and “content” in ways you might not expect. As described further below, under the government’s definition, “collected” means “reviewed by a live person” and “content” excludes metadata like phone numbers and email addresses. Thus, under the government’s misleading use of terms, the statement above would still be true if the NSA obtained copies of millions of communications, placed them all in a massive database, searched through their metadata using algorithms, and had agents review the communications found to be suspicious. Q: But if you’re surveilling a phone call, you’re not just listening to the foreigner’s side of the call, right? MR. SNOW: Well, yes, but on the other hand, if—you probably understand that if somebody is just calling in and asking how his socks are at the dry cleaners, all of that personal information is combed out and, in fact, the US citizen basically—you’re not conducting surveillance. The government defends its online surveillance programs under Section 702 of FISA as “targeted” and not mass surveillance, but don’t be fooled. Programs like Upstream—which taps directly into U.S. fiber-optic Internet backbone cables and then copied and retains hundreds of millions of communications—are far from targeted. Under Upstream and PRISM—which involves the government working with companies like Google, Facebook, or Yahoo to get users’ communications—the so-called “targeted” surveillance sweeps so broadly that communications of innocent third parties are inevitably and intentionally vacuumed up. According to The Washington Post’s analysis of documents obtained by former NSA contractor Edward Snowden, nine out of 10 account holders whose communications were collected by the NSA “were not the intended surveillance targets but were caught in a net the agency had case for someone else.” The Post estimated that the government would collect communications from more than 900,000 user accounts annually under its “targeted” 702 programs. “Targeted” fails to describe how wide a net the NSA casts both when it comes to whose communications they look at and what they look for. 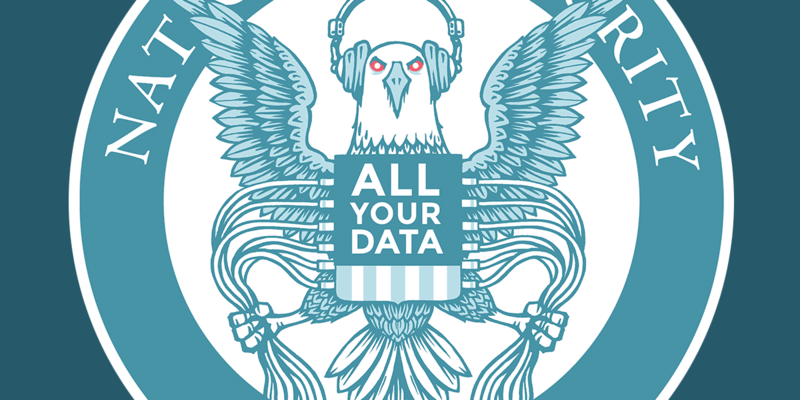 Through Upstream, the NSA retains communications that are “about” – rather than to or from – a surveillance target. To collect those communications, the NSA conducts a content search of all, or substantially all, international Internet communications travelling through U.S. Internet cables. Normally, one would think that a communication that has been intercepted and stored in a government database as “collected.” But the government’s definition of what it means to “collect” intelligence information is quite different from its plain meaning. Mr. HOLT. Do you need to be able to conduct bulk collection of call detail records, metadata for domestic-to-domestic phone calls by Americans? Director MCCONNELL. Metadata, we think of it as not content but a process for how you would find something you might be looking for. Think of it as a roadmap. Let me talk for a few minutes also about what this program is not. It is not a driftnet over Dearborn or Lackawanna or Freemont grabbing conversations that we then sort out by these alleged keyword searches or data-mining tools or other devices that so-called experts keep talking about. [A]t key points, key points in my remarks, I pointedly and consciously downshifted the language I was using. When I was talking about a drift net over Lackawanna or Freemont or other cities, I switched from the word “communications” to the much more specific and unarguably accurate conversation.